Hi Friends! Welcome back to the blog! Today I’m sharing a few new-to-me snacks that I’m loving! 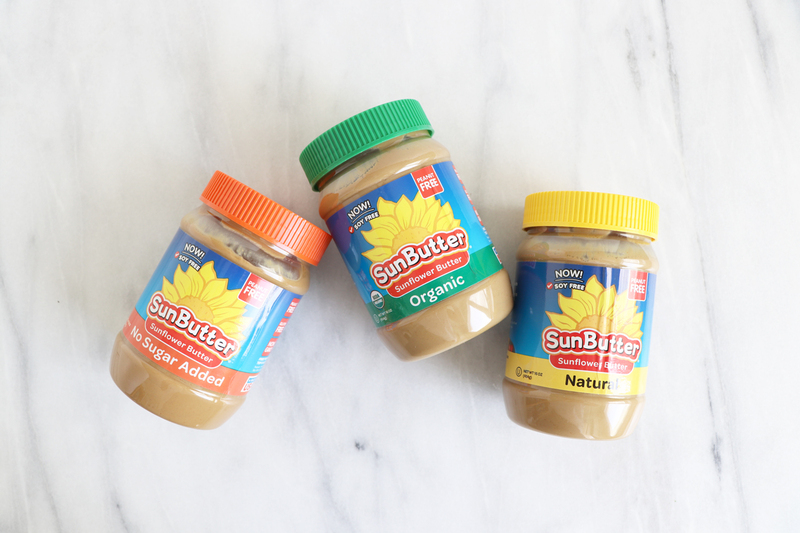 Sunbutter makes premium nut-free sunflower seed butters! They are free from the top eight common food allergens. Each serving has 7 grams of protein and contains no cholesterol, trans fats or preservatives. Plus, SunButter packs more micro nutrients, like magnesium, Vitamin E, zinc and iron, than traditional nut butters! Wholly Guacamole new layered dips are made with fresh guacamole using simple and real ingredients including hand-scooped Hass avocados. Hemp Hearts contain protein and omega 3 and omega 6 fats! These are perfect to sprinkle on oatmeal, salads, on top of yogurt… just about everywhere! Orgain Protein Bars contain 10 grams of plant-based protein and taste amazing! Siete Foods create grain-free chips & tortillas made with cassava flour which is a root vegetable. They are delicious, gluten-free, vegan & did I say delicious?! Disclosure: Thank you to Sunbutter & Wholly Guacamole for partnering with us & sponsoring this video! We only promote products & brand we love, genuinely enjoy & are excited to share with you and the HGG Community! All opinions are honest & my own.